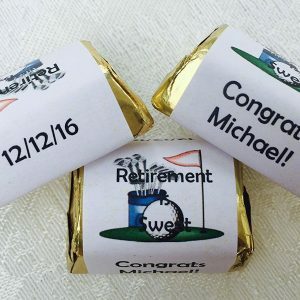 120 Retirement Party Golf Theme personalized candy wrappers, adhesive stickers, labels for your Hershey nuggets. Makes great chocolate favors. 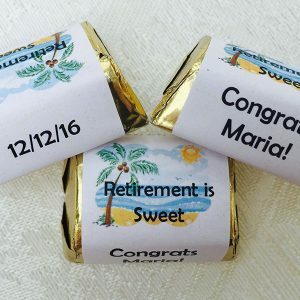 120 Woman Retirement Party personalized candy wrappers, adhesive stickers, labels for your Hershey nuggets. Makes great party favors. Beach design. 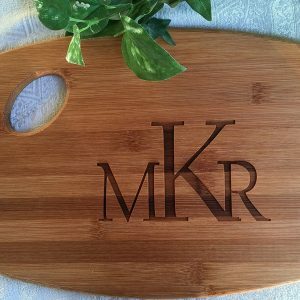 24 Personalized Ivory hot/cold 9 oz. 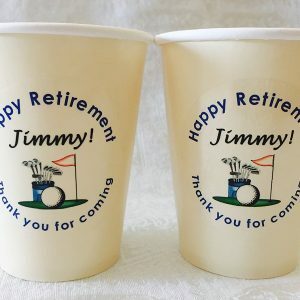 THICK Cups for Retirement Golf Theme, makes great party favors. 24 Personalized Ivory hot/cold 9 oz. 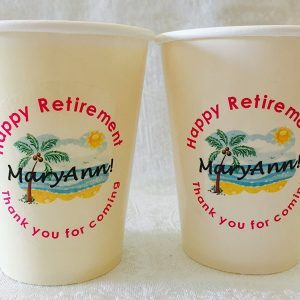 THICK Cups for Woman Retirement. Makes great party favors in Beach theme.